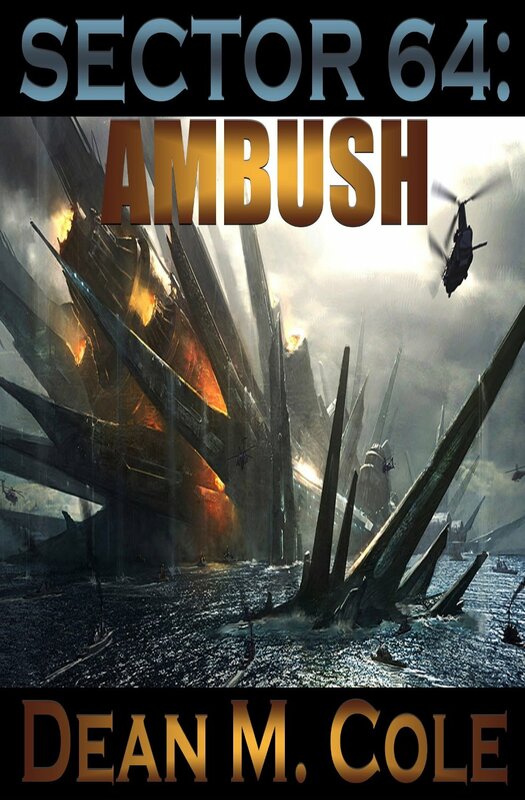 Ambush leans towards the action-adventure end of the sci-fi spectrum; think Top Gun in near-earth orbit, with a smattering of Battlestar Galactica style, and spice it all up with an omnipotent galactic empire which resembles the Culture mixed with Ridley Scott’s Engineers and… oh yeah, don’t forget the aggressive, eight-foot tall lizards with green blood. Unlike in V, they’re not coming to conquer by subtle means but instead launch an all-out attack on our mostly undefended blue-green bauble. Which is where the flyboys (and girl) come in. There’s also a decent chunk of semi-sensible science in here too, aiming to explain the advanced tech and neatly employing some recent physics to do so. Like Treknobabble, you can skip the explanations if you’re not so worried about the niceties of light-speed communications, the reintegration of multiple personalities, how nanobytes might form a spacesuit or how a DNA-based genocidal super-weapon might work. But I was pleased that the author had a stab at establishing a credible background to his imaginative leaps – that’s one of the many aspects of this novel which raises it above the average self-pub pulp. On the downside, I was a tiny bit disappointed that the only female character of merit was rapidly demoted from ‘best pilot on base’ to ‘baby-maker’. Just for once it’d be great to have a central female character who didn’t dissolve into a puddle of maternal angst when the going gets tough. Why did she have to rush back to mom and pop while the boys got to jet about in near-Earth orbit, eh? If you enjoy military slang and procedure, especially flight related, then there’s plenty here to entertain. Some of the writing is a little laboured at times; the dialogue can be a touch repetitive, and the characters seemed to fit their roles in the plot rather than feeling like actual people. Having said that, there’s more depth and creativity to this inventive tale than you’ll find in most fantasy / sci-fi, given a realistic twist with the author’s obvious enthusiasm for the air force. The text is cleaner than many indie publications too, although the odd literal creeps in (‘exhaustive’ instead of ‘exhausting’, and I’m pretty sure that you’d shoot someone with a ‘Beretta’ and not a ‘Baretta’), but nothing to detract from the narrative flow. Plus there are some genuinely spot-on inventions, like the ‘Area 51 salute’, the neat tying together of Roswell and other UFO lore and the suitably chilling efficacy of the doomsday weapon itself. On top of that, I also admired the author’s nifty explanation for socio-political trends in the latter part of the 20th century – including the collapse of the SovBloc and the rise of social welfare programmes. So overall, this is more than just a promising start. It felt like the movie-length pilot of a forthcoming TV series. No deep philosophising or intellectual challenge (Iain Banks’ legacy remains safe) but a solidly-constructed space-opera adventure. If book two in the Sector 64 series had been available when I finished this one then I would’ve bought it on the spot. Just one thing: could all sci-fi authors please check out Vasquez in Aliens, and base their next character around her? Smart, competent, capable and just happens to be a girl. That’d be great.